While the book is a portrait of an age and its attitudes towards insanity, it’s also a portrait of post civil war America with its detritus of human tragedy. The post civil war period saw an incredible upswing in insanity as a result of broken, bereaved families, unassailable grief, and the aftermath of an incredibly savage war. Widows, wives tormented by returned veterans, mothers convinced that the draft was a death machine stalking their sons, fathers and mothers whose grief had driven them berserk or sucked all the vitality from them and there were the soldiers themselves. The book opens with van Norstrand firmly in place as the superintendent when a new, young patient is admitted, Reverend Romulus Oscar Kellogg (known as RO). Kellogg suffering from exhaustion, and had already experienced breakdowns when he was brought to the asylum by his brother Amherst. Just the week before, RO preached a thunderous sermon from the pulpit which didn’t end when he left the church. He lapsed into insomnia, ranted through “frenzied marathons” of preaching, and these episodes would end in exhaustion, with RO complaining of pains in his head and paranoid fantasies of “enemies [who] lurked in the house.” RO’s wife Caroline coped with the situation, but RO’s behaviour spread out to a local man, and the result was that RO was admitted to the Wisconsin Insane Asylum with the opinion of a local doctor that he would make a “speedy recovery” from a condition labeled as Theomania. 36 hours later, Kellogg was dead. This death, called a ‘suicide’ by van Norstrand, led to a scandal and, eventually, to an unraveling of the superintendent’s life and ambitions. From this point, the book goes back into a catalogue of cases–damaged people many scarred for life as result of the Civil War–and we understand why Kellogg’s case (and death) was so different from the norm. Then the book delves into van Norstrand’s past, his pre-Wisconsin Insane Asylum days, and we see a young ambitious man carving out a medical career and learning the benefits of Quinine. 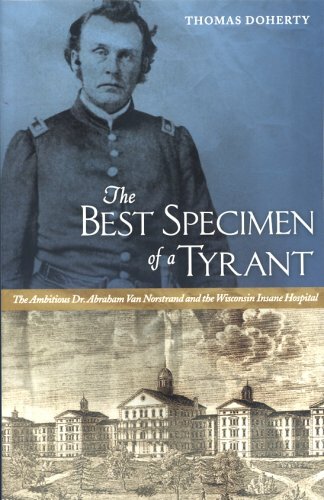 A considerable portion of the book is spent following van Norstrand’s army career as a Union doctor with the Fourth Wisconsin Volunteer Regiment, and while all this may seem a distraction from the death of Kellogg, this information allows the reader to very effectively get a sense of just who van Norstrand was, his character and his motivations, before he became the superintendent at the Wisconsin Insane Asylum. From time to time, in the comfort of his family’s elegant quarters on the second story of the central building, he night have stood at one of the towering windows overlooking Lake Mendota, his gaze fixed on the skyline of the distant city, and brooded upon his fate should some eminent figure rise out of that feverish undercurrent of rumor and resentment to point an accusing finger at him. Like Flashman he had a gift for attaching himself to local gentry on both sides of the conflict and basking in their flattery. He delighted in recalling many a feast laid out for his pleasure and many a bottle of aged brandy or claret urged upon him in one white-pillared mansion or another. As head of the biggest hospital in the Department of the Gulf, he saw Fourth Wisconsin comrades die lingering deaths and was himself worn down by illness and exhaustion, to say nothing of the frustration of being locked into middling rank. But again and again those lavish encounters with the privileged–slave owners or not–and every favor and deference granted him as surgeon, officer, man of the world, energized him. And finally that old seductress, easy money, caught his eye. We also see van Norstrand at his best during the Civil War. He held firm ideas about good diet as essential for health, and Doherty, mining van Norstrand’s memoirs shows him arguing with commanding officers and going “beyond government channels and local pharmacists, paying planters and other private citizens up to five dollars an ounce, often from his own pocket” for precious supplies of Quinine. Thomas Doherty does a fine job of re-creating the times and conveying the impression that van Norstrand was really an incredibly energetic and enterprising man–yet his flaws, his energy, his ego and that entrepreneurial spirit are the very things that led to his downfall in the end. The marvelously detailed section regarding the 1868 hearings make for fascinating reading, and we see how van Norstrand’s mammoth task to ‘cure’ the insane was fraught with difficulties in a chemical-less age when physical restraint and punishment seemed a viable option. Van Norstrand was battling against the odds before RO Kellogg appeared at the asylum, and this young man’s appearance and his reaction to morphine created the ‘perfect storm’ for disaster. While Doherty opens a window into a specific time and a specific incident, the book extends beyond even the study of one character into human nature itself. We see disgruntled employees given a venue for their discontent and yet ultimately, van Norstrand’s speculations and business ventures sealed his fate and underscore the argument that once one arena of unethical behaviour is uncovered, the door is open to all other accusations and suspicions. In crossing swords with Samuel Hastings, the man who led the attack against van Norstrand, the superintendent met his match and hence his downfall. Sometimes, it’s the corners of history that prove to be the most interesting. Highly recommended for those interested in Wisconsin or asylum history. Emma recently read and blogged about one of my favourite Henry James novels, Washington Square, and I was motivated to return to one of my favourite authors. It was a matter of luck that I selected the short story, Osborne’s Revenge (1868), which clocks in at a mere 28 pages on my kindle, for the story is not only a perfect companion piece to Washington Square, but it’s also quintessential James. Following the advice of his physician, Graham is spending the summer at some medicinal springs in New York. Osborne hasn’t heard from his friend in some time when he finally receives a letter in which Graham confesses that he remains at the springs as he is “charmed” by a young woman he met there. From a mutual acquaintance, Osborne learns that Graham has fallen in love with a certain Miss Congreve, and that an announcement of an engagement was expected when a Mr Holland appeared at the resort and that Miss Congreve precipitously “transferred her favours” to the newcomer. According to the mutual acquaintance, the gossipy witness, Mrs Dodd, Graham is dying from a “broken heart.” Indeed, Graham seems to be shaken by the affair and shortly afterwards, he commits suicide. Osborne doesn’t recover from his friend’s death and with some notion of revenge, he travels to Newport in order to seek out Miss Congreve…. This is a wonderful early Henry James short story, and as we so often see with this author, the main character (Osborne in this case) is actually outside of the main story–the failed love affair between Graham and Miss Congreve. All of the passion–the courtship, jealousy, despair and suicide have occurred off the pages, and instead we have Osborne left with the aftermath. Once again we see the passivity of Jamesian inaction, the complexities of human behaviour, motivation and psychology, and the turmoil of unexpressed emotion just underneath the surface of polite society. How would Charlotte or Emily Bronte dealt with such a plot as Osborne’s Revenge? A rhetorical question, of course, but their pages would have included more passion, more action, and yet perhaps James’s subtle story is so exquisite because it’s fairly easy to step into the shoes of Osborne and hover around Miss Congreve as he tries to hate her, struggles with indecision and tries to make her pay for the death of his friend. Several times in 2010 I told myself I’d get back to Edith Wharton. I didn’t. But after writing my Best of 2010 list, I decided it was about time I got back to the books and authors I’d intended to revisit. That’s the good thing about compiling a list; it made me face all the reading I didn’t do. So back to Edith Wharton–one of my favourite American authors. I’ve read her biggies: Custom of the Country, The Age of Innocence, House of Mirth, and a couple of others–including The Reef. 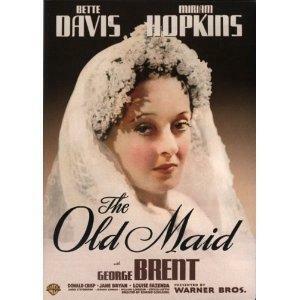 It was time for something else, and I selected The Old Maid. Part of this selection rested on the 1939 Bette Davis film. I decided to read the book and then follow-up immediately with Bette. A good plan as it turns out. 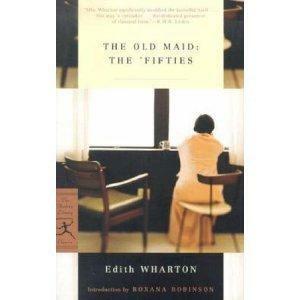 The Old Maid is part of a series of four novellas intended by Wharton to depict Old New York in various decades: False Dawn (the 1840s), The Old Maid (the 1850s), The Spark (the 1860s), and New Year’s Day (the 1870s). Collectively these four novellas depict the codes and customs of New York society; these four novellas were published as Old New York in 1924, but The Old Maid was written in 1921 and serialized in 1922. If you’ve read Edith Wharton before, you are familiar with the manner in which she places the individual in society–with characters sometimes trying to break the rules of society such as Countess Olenska in The Age of Innocence, or The House of Mirth’s Lily Bart–a spectator to the society she loathes and yet strives to be a part of. Thus in Wharton’s tales, what is often at stake is individualism vs. society. Perhaps that explains why The Custom of the Country’s opportunistic Undine Spragg is my all-time favourite Wharton female character. The Old Maid is not an exception to Wharton’s premise–that society seems to be an organic being that will always further its own agenda with its members ready to winnow out the rebels for the collective good of society. The rebel in The Old Maid isn’t someone who fights against society’s rules, but rather someone who falls foul of socially acceptable behaviour and pays for it for the rest of her life. In the old New York of the ‘thirties a few families ruled, in simplicity and affluence. of these were the Ralstons. The sturdy English and the rubicund and heavier Dutch had mingled to produce a prosperous, prudent and yet lavish society. To “do things handsomely” had always been a fundamental principle in this cautious world, built up on the fortunes of bankers, India merchants, shipbuilders, and shipchandlers. Those well-fed, slow-moving people, who seemed irritable any dyspeptic to European eyes only because the caprices of the climate had stripped them of superfluous flesh, and strung their nerves a little tighter, lived in genteel monotony of which the surface was never stirred by the dumb dramas now and then enacted underground. Sensitive souls in those days were like muted keyboards, on which Fate played without a sound. A beautiful paragraph to start off a marvellous story. Then we are introduced to Delia Ralston née Lovell, “one of the handsomest and most popular young matrons.” Her self-satisfaction at her marriage to Jim Ralston, her pride in her beautiful home and her 2 perfect children is only occasionally troubled by “secret questioning” of the choices she made. Delia was once terribly in love with Clem Spender– “tolerant, reckless, indifferent to consequences,” he’s an unreliable, unpredictable member of New York society, so it’s probably a good thing he left and now lives permanently in Europe as an artist. Delia’s peace of mind is shattered when her cousin, Charlotte Lovell begs for help. Charlotte is about to make an excellent, unexpected match with Jim Ralston’s cousin Joe. Joe is Charlotte’s long-term suitor, but the courtship appeared to end when Charlotte was sent away for her health a few years before. She seemed relegated to the colourless life of spinsterhood, and this role is underscored by Charlotte’s devotion to a gaggle of poor children she tends in an old stable. Charlotte is particularly devoted to one orphan in particular, Clementina. With the upcoming wedding, Joe Ralston asks his bride-to-be, Charlotte to abandon the children for fear of contagion. In desperation, Charlotte goes to Delia, and confessing that Clementina is her illegitimate baby, begs for Delia’s help and intervention. That’s the opening premise of the story, and then the rest of the novella is concerned with the fallout: the relationships between Delia, Charlotte and Clementina. The film version is moved ahead to the 1860s, and the Civil War plays a role in sanitizing some of the darker elements of Wharton’s tale. Clem Spender is portrayed as an aggrieved, depressed and rejected lover who impulsively enlists in the Union Army and is subsequently killed, and this death makes him a dead hero and takes away some awkward questions. I prefer Wharton’s byline: painful rehabilitation of Clem by a persistent, annoying relative. The film is structured around three weddings–beginning with Delia’s wedding to Jim Ralston, Charlotte’s wedding to Joe Ralston, and finally Clementina’s wedding. The film shows Delia and Charlotte in conflict with each other over possession of Clementina (a peevish brat in the film version), and misses Wharton’s delicate positioning of society within the narrative. Whereas Charlotte (played by Bette Davis) comes out as the heroine–maligned and misjudged by all, in the novel Wharton seems to say that Delia’s actions are equally brave. By standing by Charlotte, Delia (whatever her motives are) also pays a price. The rest of New York society considers her a little eccentric, and eventually, by her later actions, Delia alienates her two children. Social tolerance was not dealt in the same measure to men and to women, and neither Delia nor Charlotte had ever wondered why: like all the young women of their class, they simply bowed to the ineluctable. The film is well-worth catching–not just for the story and the excellent acting, but for an exercise in contrast.